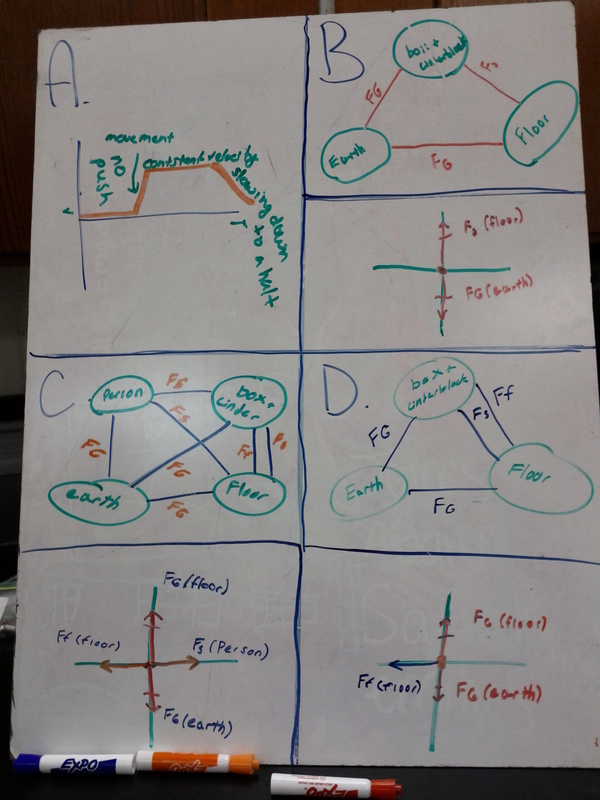 36 The conceptual classes are slowly working through a version of Kelly O’Shea’s packet for Balanced Forces. They were doing a decent job of the system schema diagrams and FBDs. Students were working on this in class in small groups, and each group made a whiteboard of the same material, and we compared them and looked for differences. We then discussed whether those differences were acceptable or if they made the solution incorrect.